Taking the Classroom Online! Can the Internet Really Help us Learn? One of the earliest purposes of the internet was to allow universities to communicate with each other and exchange research information. Today it has touched every aspect of life. From the way we travel to the way we shop, the internet plays a role in it. So it’s not a surprise that the way we learn can also be transformed by the power of the internet. This awesome technological revolution is poised to wipe the old-fashioned ideas about education from the map. So let’s look at the ways the internet is helping us learn in new and better ways. The quality of the education that you receive is no longer dictated by the quality of the teachers who are in your immediate region. Often poorly-educated people are the victims of bad teachers, but with internet access there is no reason why this should be. The best teachers in the world can put their lesson material out for anyone to use. It’s also cheap and simple to get real-time communication going with a teacher or tutor on the other side of the world. Sometimes, getting to a tutor in the right part of the world is crucial for good learning outcomes. Language learning, for example, works best if you get to speak with someone who’s a native. Adults need to keep learning more than ever before. New jobs are being invented as quickly as the old ones are disappearing. The problem is that few of us have the luxury of going to class in order to learn new skills. The internet now makes it possible to leave all that old-fashioned classroom stuff behind. You can learn anywhere and at any time. Even if you only have small breaks available during the day, or can only study late at night. The biggest effect that the internet has had on learning is probably in the form of increased access. It’s now easier than ever to get access to free and open content. It’s good quality material too! There are many great free online courses to choose from and if you want paid certification it costs much less than residential college tuition. People from all over the world are teaching themselves fundamental knowledge that they missed in school and employable skills such as programming. All thanks to the connecting power of the internet. Digital teaching systems are now becoming so advanced that they can adapt to our learning needs. Thanks to technologies such as adaptive learning and learning analytics, it’s possible to figure out where and why a student is struggling and change the lesson approach to help them master the content. One of the reasons this can work is because we’re all becoming cloud-connected and mobile devices such as smartphones and tablets are killing traditional computer such as laptops. The internet is the cause of a complete educational revolution. Everything we think we know about learning and all the traditions of industrial-age schooling are up for renewal. 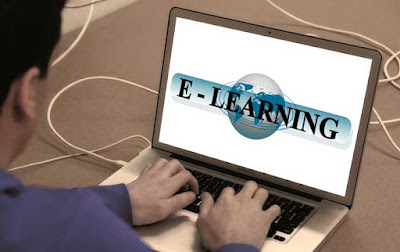 There’s never been a better time to think again about your education and perhaps internet-based online classroom learning will change your life for the better. Sooner rather than later.